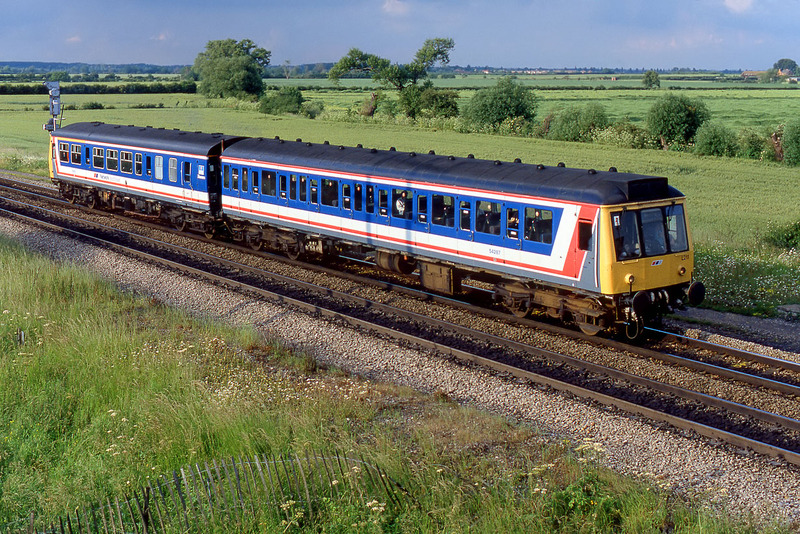 Some Western Region hybrid DMU sets in the early 1990s were considered permanent enough to warrant set numbers. Such was the case with L211, which as this side view clearly shows is a Class 121/101 combination. Class 121 trailer 54287 is pushed towards Didcot North Junction on 1 July 1991 by Class 101 DMBS 53155, as they work the 2C63 18:18 Bicester Town to Reading Network SouthEast service. Note the distinctively shaped tree in the background.